This report uses cultural insights to understand how the world is changing and to pull out the patterns of change – or trends – that are going to be important for a brand in the future. Understanding how trends work enables marketers and brand custodians to differentiate between short-term fads and trends, the latter having potential to impact long-term consumer behaviour. A fad – or fashion – is a ‘fast burn’ that rapidly peaks, and disappears just as quickly. It is less driven by socio/cultural factors and not necessarily aligned to broader consumer need changes. Fads tend to be more regional than global. By contrast, a trend is rooted in identifiable sets of cultural drivers and can be tracked across continents. It typically has global reach, and is long-lived and evolving. In essence, a trend is a shift in the way people think and consequently act. Megatrends take years and even decades to evolve, and tend to manifest in a number of microtrends – that is, emerging and niche behavioural changes – over the years. Added Value’s South African cultural insight and semiotics specialist, Dr Inka Crosswaite, identifies those megatrends that are having a profound impact on society locally, and suggests how they and the microtrends that follow in their wake will shape society and brands in the years ahead. Overall growth for South Africa in 2013 is widely accepted to be modest. Retailers will be faced with increasing costs, but falling prices as they attempt to convince cash-strapped consumers to part with their hard-earned income. At the same time, consumers will find their voices as they take to the internet and social media in ever increasing numbers to compare products, prices and experiences. The tasks therefore facing retailers and consumer goods companies are myriad: they will not be able to compromise on service levels but will still have to provide greater choice, demonstrate commitment to sustainability, and comply with increasingly onerous (but very valid) food labelling and employment equity legislation. There has been a worldwide growth in interest in ‘creativity’ by those who ‘consume creativity’ in its various forms – art, dance, music, design, cuisine, fashion and so on – in a bid to satisfy values of self-expression, escapism, fulfilment and enrichment. Paradoxically, two of the drivers of this growth are rooted in the seemingly mundane: the adoption of technology allows people to learn new skills and the desire to escape the dreariness of the economic recession. At the same time, the globalisation of culture and peer pressure to be creative are considerations. How is this megatrend currently manifesting itself in microtrends? There is more room than ever for individuals to create their own work and present it to an incredibly wide audience as the creative world shifts towards an artist-led, free-market model. For example, Blurb.com turns any writer into a self-publisher and, closer to home, Authentic Creatives harnesses individual talent and augments that talent through group exertion. While the need for simplicity and de-cluttering has been around for a while we now find an interest in being earnest and a search for the true essence of things. For example, restaurants are starting to specialise in one single item (Macbar serving only macaroni & cheese), coffee bars are doing away with frappacinos and macchiatos (Debenhams) and songwriter Beck released his new album as sheet music, saying fans will have to play it themselves. Apparently, he wanted to reconnect people with music and take it ‘closer to its folk traditions’. At the same time, amidst this move towards seriousness, there is a craving for brief moments of joy, excitement, surrealism and fantasy. For example, British artist Luke Jerram arranged for 500 pianos to be erected across the world – from New York to Sydney – bearing the simple instruction ‘play me.’ And people did. Locally, there’s increasing incidence of spontaneous street dance in the townships. South Africans of all races are very social creatures – we value family get-togethers, time spent with friends and coming together in our communities as these gatherings satisfy our need for a sense of belonging. As a megatrend, however, this desire for social cohesion is becoming increasingly important in other countries driven as it is by the fact that technology makes connecting with others far easier and the sluggish economic climate and heightened ecological awareness makes sharing resources such as food and the energy to cook it more appealing. Another important driver internationally is a backlash against the increasingly digital lives people lead; this is spurring a wish to make genuine, face-to-face connections. Enabled by the internet, it is easier for people to find and get to know others who share their tastes, hobbies and experiences. Share My Guitar is a social network for guitar enthusiasts; in South Africa, Meetup has recently become a huge network of local groups enabling people to connect with others who share their interests and arrange to meet face-to-face. Another trend driven by the economic climate and technological advancement is that making itself known in our homes and leisure time. Here, courtesy of our ‘addiction’ to interactive devices such as smartphones and the fact that more of us are working from our homes, we are expecting our experiences to be enhanced … and for our homes to be far more than just a place to lay our hats. Arising from this megatrend is the feeling of discovery and independence and this is evident in several microtrends. People’s homes – their own, someone else’s – are becoming a space for leisure time. Rather than spending time in faceless places, people opt to be in a familiar environment of their home. While this trend has been around for a while more brands are tapping into it and new forms of entertainment are emerging. In South Africa, there are numerous supper clubs and home cooking competitions. In Russia, people visit Shefmarket online, choose a dish and state for how many guest they are cooking, and the ingredients are delivered along with a step by step recipe in three hours. Secret and temporary events forcing us to work that little bit harder to experience the unique. In the UK, somewhere just off Earls Court Road, there is an ordinary black door marked Evans & Peel Detective Agency. Finding this is only the first step: the door needs to be opened (and sometimes it isn’t) and you need to pass an interview before you are admitted to somewhere rather special. Locally, Spier wine estate has launched The Secret Festival. Secrets of all kind will be revealed – from secret ingredients and family recipes to South Africa’s best-kept wine secret ending with a dinner at the private home of a secret host in Stellenbosch. Our interest in the environment and the desire to protect it – or at least utilise it in a sustainable manner – is one of those megatrends that isn’t new, but is gaining momentum. The logical drivers include increased awareness of the scarcity of natural resources (there are those who predict that President Obama will put climate change top of the agenda for his final term in office) plus the rising incidence of natural disasters. Brands are closing the loop between their products and the consumer who use them. By seeing the process of making and buying as part of a cycle rather than a single step, they ensure that there is as little waste as possible and some even breathe new life into their products. For example, beer brand Molson Canadian, has plantable coasters which are made of seed paper and which grow into trees. Further, in this world of over-processing, imperfection is valued. Products are being stripped back to basics, processed as little as possible to let the raw materials shine through. For example, unfiltered, single pressed or filtered through the earth beverages like the US Steam Whistle Pilsner are the new rave. Finally, there’s a total rethinking of what necessary spaces should feel and look like. The Earthscraper from BNKR Arquitectura challenges the way we think of urban expansion, utilising the ground beneath our feet and maintaining the iconic character of Mexico City. And, in Durban, there is greenery amidst the concrete as a 1300 m² farm on the rooftop of a tall tower grows organic foods for orphanages and schools. Another of the megatrends that has attained much traction over the past 20 years or so is that of increased interest in our health. However, in latter years, this trend has morphed into holistic health in years to the extent that people are being increasingly encouraged to proactively manage the condition of their own bodies. This feeds their sense of empowerment and engagement. Emerging is a focus on the experience of health, and not just the results. One of the new drivers of the trend is the rise in smartphone ownership and our obsession with ‘apps’. It joins the drivers today and yesteryear like the global obesity crisis, an increasingly ageing population and ever more pressure on government funding for health care. Today it doesn’t have to be easy, fitness and health can be about tough challenges and thrilling experiences. Like in Moscow where women strapped on 9cm high heels to compete in a foot-blistering race. There’s also the shift towards self-managed health with numerous companies and smartphone applications personalising wellbeing management. Send The Eatery photos of your food, and they’ll send you a breakdown of your habits, including your strengths, weaknesses, and the best places to start making a change; Ginger.io is an app that uses data generated with our cell phones to help us manage our health. Originally launched to help alert diabetes patients, the app is being used to help signal the onset of issues like anxiety or the flu. The app sends updates to your ‘care network’ if it senses any abnormal behaviours in your statistics. The global economic situation has affected us all. Personal autonomy – and the hard work it takes to achieve it – are becoming the holy grail in countries where job security and income protection has been a given. There’s a new wave of respect for an honest day’s work, for taking pride in doing the job and doing it right. This has always been the case in South Africa and probably in most other emergent markets – it is less a trend here but a facet of life. That said, in our country, the increasing age of retirement means a rethinking of the traditional career path, and there is also a rise in the number of people working from home and or working flexible hours. People are increasingly loosing trust in hard currency and are realising that money cannot buy you everything. Experiences are highly valued, if they are for the better. In South Africa, Capitec has two initiatives embodying the trend – its Swapping Mall, a two day event during National Savings Month that invited visitors to swap items they no longer wanted instead of hitting the (normal) mall and Live Free, a series of free events located across the country in public spaces like parks and beaches that celebrate everyday simple pleasures such as building sandcastles or reading a book in a hammock under a tree. The times of following a linear career are over; now people’s working lives are more flexible, and are often made up of various different career paths and choices. The website Frilans.ru searches for the freelancers for specific jobs. It also runs an exchange system in which web designers, developers, programmers and copywriters can swop their skills. UK based Ernst & Young recognises part-time work even at top senior level. They published a list of 50 senior professionals who are working less than a five-day-week. Scientific and technological breakthroughs are no longer hidden in laboratories where they can be theorised about, they are rapidly making their way into our world, manifesting themselves as tools that we can embrace to make our lives – and those of others who may be bed-bound or house-bound – easier. A critical driver of this megatrend is the fact that so many of us are now very familiar with technology, and quite unafraid to try it out. Just a decade or so of the internet and less than five of smartphones have rid us of our technophobia … and our demand functionality is seldom satiated. Every object is now expected to come with added responsiveness and functions that support our mobile lives. London based fashion designer Richard Nicoll for examples has paired with Vodafone to create a recharging bag. Once charged, the bag can charge handsets for over two days. More than just a longing for a golden era aesthetic, the growth of analogue products, services and events seems to be a reaction to our tech-heavy world. These non-digital products pull our heads out of the ‘cloud’ and allow the romance and thrill of the tangible. Inspired by the beauty and form of classic cameras from the past, the Fuji FinePix combines all the latest technical digital innovations in a traditional chassis. There’s also an iPad app bring back handwriting: you can jot down whatever comes to mind and organise it into different notebooks. Tech provides the personal touch – in South Africa, 8ta installed touch-activated windows in its stores, enabling customers to browse the retailer’s catalogue throughout the day and night and free cans of BOS Iced Tea were released from a twitter-activated vending machine in exchange for a tweet. Space-age, cutting edge science is no longer the vision of sci-fi novels but is entering the realm of real people. A fully paralyzed woman has demonstrated the ability to hold a cup of coffee using brain signals to control a robotic arm. The body is being seen as a platform for playful experimentation with products developed that react to individual make-up. Swallowable Parfum is a cosmetic capsule that enables human skin to emit a genetically unique scent. Emerging markets are on the rise. The IMF has predicted in October 2012 that in 2013 the GDP of emerging markets will surpass that of advanced markets. Not only will emerging market products and services cater for their own growing middle class they will enter cater for all markets. As globalization has reached its tipping point we will also see people in emerging markets increasingly celebrating their cultural traditions, heritage and traditional lifestyles. The trend is being seen in reverse innovation, with products being innovated for the specific demands of emerging markets and then exporting for use in developed markets. For example the Tata Nano -made and sold in India, it is the cheapest car in the world today. It is being viewed with interest around the rest of the world and is said to be launched in the US in 3 years for the cost of about $10,000. Emerging markets increasingly export their brands and products to both advanced and emerging markets. For example, Metersbonwe, China’s largest leisure wear retailer could well be the next Zara. Or take Turkey-based Peak Games which is the third largest social gaming platform worldwide. Or, the Brazilian beauty brand Sol de Janeiro, which uses traditional local ingredients and is now being stocked by Sephora in the US. 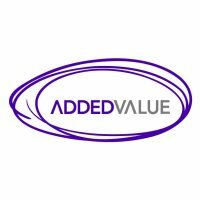 Please visit www.added-value.com for more insights.